Charmy and Cream colored. FINALLY I got to put this up. I drew it 2 weeks ago. It took me 2-3 hours to color it. I tried doing shading again. I think this time I did better.. HD Wallpaper and background images in the Cream the Rabbit club tagged: cream charmy. 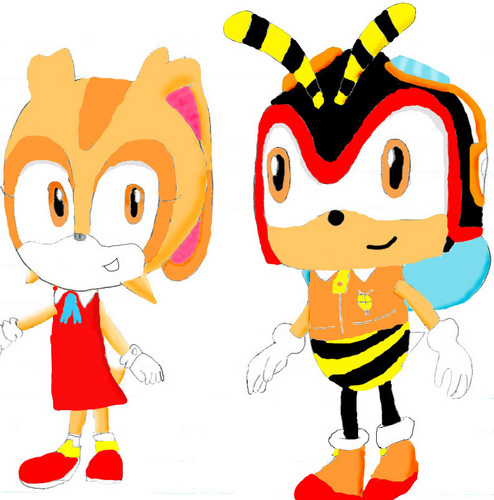 ahh I forgot to do Shading in Charmy's eys!! its fun looking at artistic people`s fan art of my daughter.